Dorothea Jensen, born in Boston, Massachusetts, grew up in Chillicothe, Illinois. She majored in English literature at Carleton College. After teaching high-school English and serving as a Peace Corps volunteer in Brazil, she earned a master s degree in education at the University of New Mexico. In 1989, Harcourt Brace Jovanovich published Dorothea s novel for young readers about the American Revolution, The Riddle of Penncroft Farm. 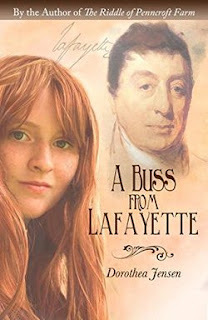 In addition to other honors, it was named an International Reading Association Teacher s Choices Selection and is read in classrooms throughout the U.S. A Buss from Lafayette is set in the small New Hampshire town where Dorothea lives. Two things inspired her to write this story. 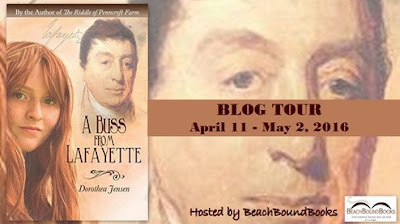 First, was learning that Lafayette passed right by her house during his 1824-5 Triumphal Tour. Another was meeting a woman whose ancestor received a kiss from Lafayette. That buss, passed down through generations, eventually came to Dorothea. This sparked her interest in Lafayette s contributions to our struggle for independence. Dorothea also enjoys writing rhyming verse. She has written a series of award-winning illustrated modern Christmas stories in verse featuring Santa's Izzy Elves. 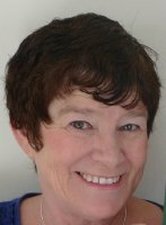 For more information about Dorothea and her books, please visit http://www.dorotheajensen.com/. Terms and Conditions: NO PURCHASE NECESSARY TO ENTER OR WIN. VOID WHERE PROHIBITED BY LAW. A winner will be randomly drawn through the Rafflecopter widget and will be contacted by email within 48 hours after the giveaway ends. The winner will then have 72 hours to respond. If the winner does not respond within 72 hours, a new draw will take place for a new winner. Odds of winning will vary depending on the number of eligible entries received. This contest is in no way sponsored, endorsed or administered by, or associated with Facebook. This giveaway is sponsored by the author, Dorothea Jensen and is hosted and managed by Stacie from BeachBoundBooks. 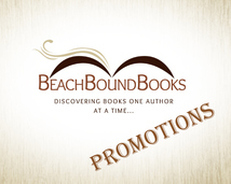 If you have any additional questions – feel free to send and email to stacie@BeachBoundBooks.com. Great to have you on the tour. Thank you for sharing your post!